Dental implants are a permanent and appealing solution to replace missing or extracted teeth. They are better than other alternatives such as bridges because no additional teeth need to be altered to place the new tooth and also have a life expectancy of at least 35 years, whereas bridges last an average of 10. After the implant has healed, we will place an abutment on the implant. The abutment serves as the base for your new tooth. Once this is placed, an impression of the abutment is taken and is used to create your permanent restoration. Our office will then send the impressions to our chosen dental lab where they will create the custom restoration. Once the restoration is completed you can return to our office to have the restoration permanently attached. Your smile will look just like it used to, and after a short period of adjustment, it will feel just like one of your natural teeth. 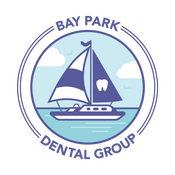 Our office offers a periodontal specialist who can evaluate your eligibility for implants and perform them right in our office!